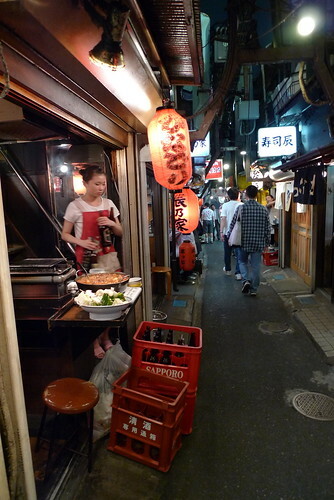 Omoide Yokocho (Yakitori Alley) is one of my all-time favorite places, not just in Japan, anywhere in the world. 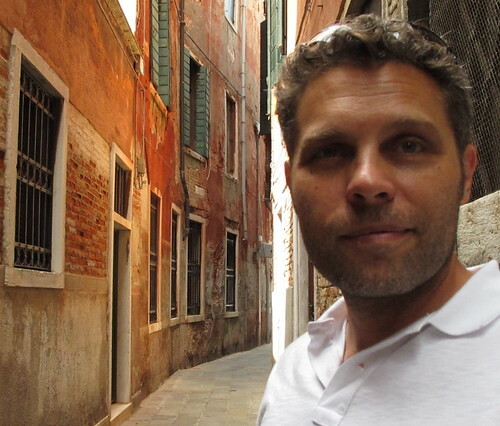 If you ask me what to do or where to go in Tokyo, Japan, I will send you there. “Wait. What is yakitori?” This is where I shake my head and wonder what is wrong with you. Yakitori is only the greatest invention since the invention of food. Disclaimer: Yakitori is, BY FAR, my favorite type of Japanese food. “Sorry sushi, I love you too, but you’re not number one.” I am indeed a “Yakitori Freak.” This has been well documented. Okay, back to answering the question at hand. 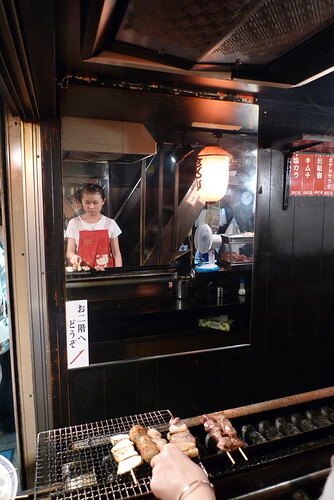 Yakitori is grilled chicken, although you can also get grilled pork, beef and even veggies. There is no rice to be found and no fish either! 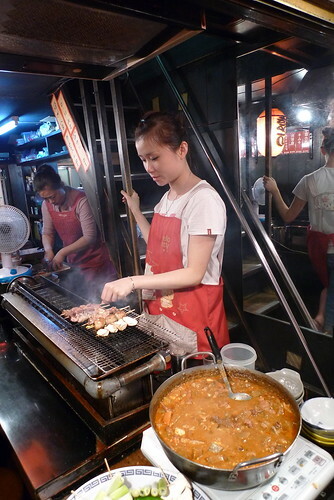 The meats are cut into small, bite-sized pieces and put on a bamboo skewer before being grilled on a charcoal grill (traditional) or a gas grill (more modern). One skewer is about 2-3 bites and you order by the skewer. All parts of the chicken are available, including wings, breast, thigh, heart, liver, skin, cartilage and a few others that don’t generally appeal to many Westerners. I would recommend looking at my quick yakitori tutorial (available soon). It is good to be familiar with the names, in Japanese, of the parts you’d like to try. Many of these places don’t have English menus or even much English speaking staff. It’s really good to get a tasty chicken thigh with spring onion (negima), instead of a not-so-tasty chicken tail (bonjiri). Of course, you may be the type of person who likes chicken tail, in which case, by all means knock yourself out. I suggest just going for it! Pick a place, grab a seat and start ordering. They may look like funky hole-in-the-wall spots, but the food they make is savory and delicious and goes perfectly with an ice-cold Asahi or three. If you are a fan of street food, you will have an amazing time bar hoping in this unique alleyway. 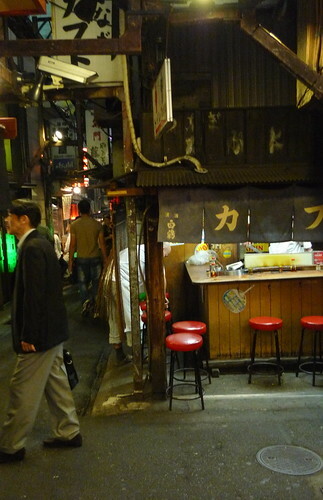 I almost forgot to mention, it is rumored that Omoide Yokocho was one of the inspirations of the set designs for Ridley Scott’s movie “Blade Runner”. So now that you can’t wait to get to Yakitori Alley, you are probably wondering exactly where it is. It is located near Shinjuku Station, just west of the Yamanote tracks. Ask any local and they can point you there. A final piece of advice, go there after 7 pm. Many places aren’t open before then and the alley looks fantastic at night. This entry was posted	on Wednesday, December 29th, 2010 at 6:13 pm	and is filed under Adventures, Japan, Places. You can follow any responses to this entry through the RSS 2.0 feed. You can leave a response, or trackback from your own site. Another great post Algis!! It’s funny that you mentioned Blade Runner because that was the first thing that I thought of seeing these pictures!! Any eyeball manufacturers?